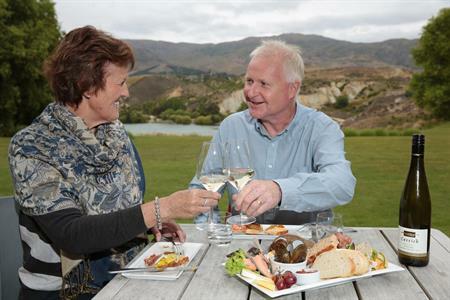 Moa Creek is a place in Central Otago with historic reminders and a sense of space that captured the imagination of New Zealand’s preeminent film-maker. 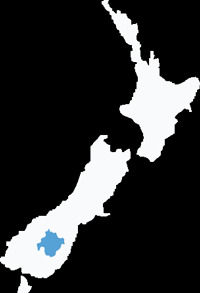 To visit Moa Creek travel for 40 minutes northeast of Alexandra, on SH85, turning southeast at Omakau and cross the Manuherikia River. 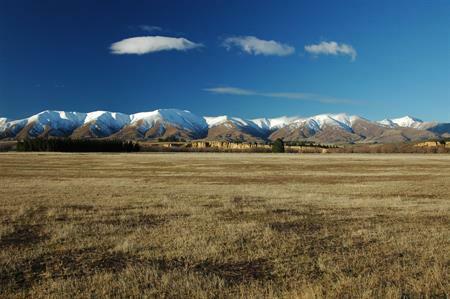 Travel past the hotel at Ophir, over Poolburn Hill and turn off onto Poolburn Moa Creek Road. The settlement of Moa Creek sprang up after the discovery of gold in 1863. There was a time when the Moa Creek Hotel was bursting with miners. Halfway along Webster Lane is a restored stone cottage once inhabited by early settlers. Moa Creek Hotel, built in 1912, replaced the Carriers Arms built in 1861. A smaller mud brick building was a general store and there is an old school. The earliest graves in Moa Creek Cemetery belong to European and Chinese miners. Many Chinese remains were later exhumed and returned to China. Stone walls build up the road and there are also piles of Sarsen stones. These are incredibly heavy and were nicknamed Chinamen’s rocks by the miners. It was said that wherever you found those stones, you found gold. Be awed by the vastness of the grasslands and unusual rocky tors as you travel through Moa Creek. Poolburn dam was built in 1931 as an irrigation reservoir, making it a wonderful fishing spot. During Peter Jackson’s filming of the famous Lord of the Rings movie, fishing huts at the dam were disguised as rocks and village houses. Access the Dunstan Trail at the dam via the left track, crossing below the dam. Continue left onto the trail and over South Rough Ridge, downhill to the Upper Taieri Plain and up over the Rock and Pillars. 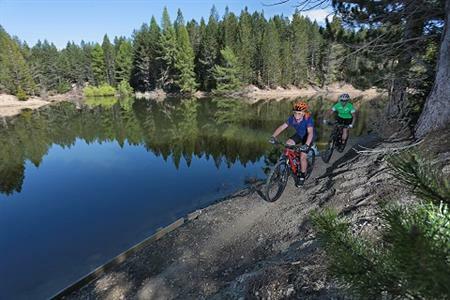 Moa Creek is a time-out sort of place where you are free to relax, reflect and imagine.